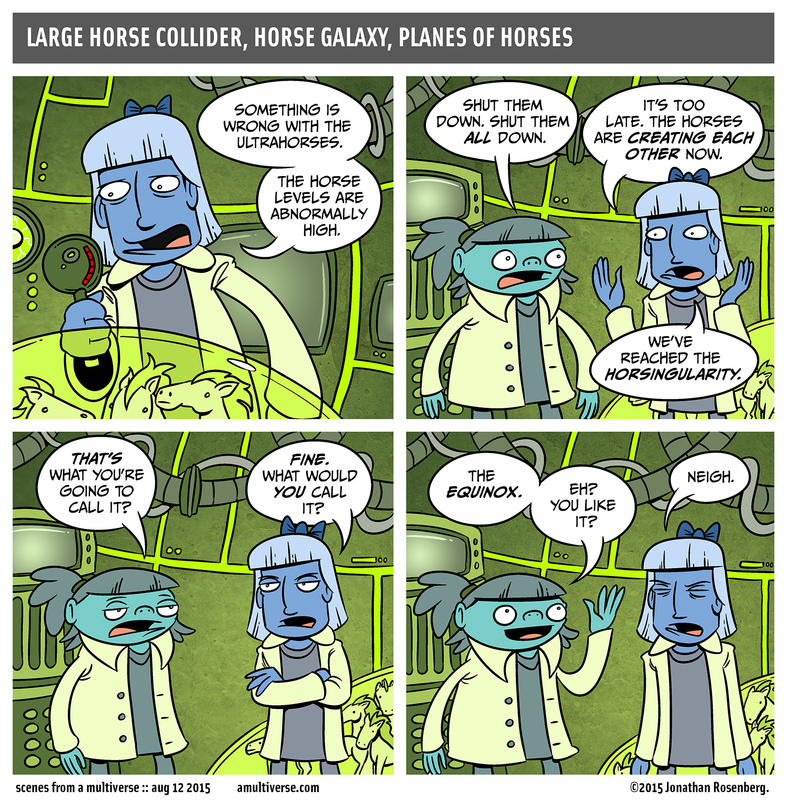 We’re back at the Large Horse Collider today for an update on the Ultrahorse situation. Looks like everything is going swell. Hope your Wednesday is superb! If you want it to be. No pressure.